Our top modern conference room have a capacity for up to 22 people. 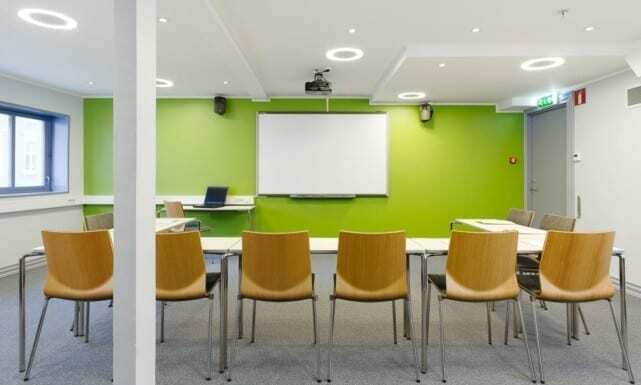 The room is equipped with an LCD projector and a Smartboard connected to a PC. The room is well ventilated in quiet surroundings. You are welcome to utilise our lounge and our pleasant garden for breaks. We can offer various types of service during your event. Please get in touch with us for a good offer that will satisfy your demands. Tel: (+47) 53 00 22 00 or use Our contact form.